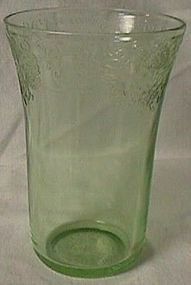 Hazel Atlas Glass Co. made Florentine #2 from 1932-35. This 5" 12 oz flat tumbler is in great shape. Thanks for looking.